Well, if it’s the fall, that must mean it’s time for me to come out of hibernation and return to penning this column. My “anonymous benefactor” has once again offered to pay me to write columns for the rest of the year (five in this case), so I am back. Unlike the “keeper of the flame,” I won’t waste one third to one half of the beginning of this space to aimlessly ramble on and on about the media from which the eventual subject of the column arose, but get straight to the heart of the matter. Hope that’ll be refreshing! As you know, at the end of June, there was great controversy over Daniel Dae Kim and Grace Park choosing to leave “Hawaii Five-O” after seven seasons. Both wanted equal pay to their white co-stars Alex O’Loughlin and Scott Caan. Depending on the source, CBS either came to within 10-15% of the stars’ salary or as close as 2% — $5,000 less per episode for Kim than O’Loughlin and Caan’s $200,000 per episode. But unlike the two stars, he couldn’t share in back-end participation (royalties from DVD and syndication sales). On behalf of MANAA, I wrote a letter to CBS President Kelly Kahl and Senior Executive VP of Programming Thom Sherman, urging them to replace the three departed Asian Pacific Islander stars (Masi Oka left earlier in the year) with three APIs, suggesting Ian Anthony Dale (who played Grace Park’s husband Adam) as one of them. 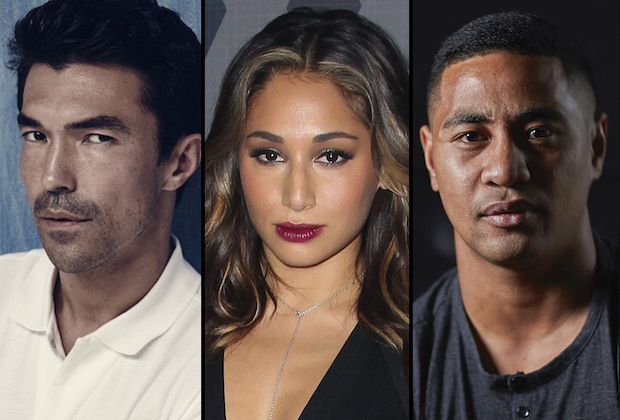 Coincidentally or not, they upped Dale to regular status and hired Meaghan Rath (who’s half Indian) and Beulah Koale (Samoan) to be new members of the team. Rath was introduced in the first episode of Season 8 and was immediately added to the theme song opening. Koale and Dale weren’t yet ready to make their appearances, but what CBS did as a “place holder” for them shocked me. After O’Loughlin, Caan, Rath, and Jorge Garcia, they inserted on one screen stills (not videos like the other co-stars) of three API actors who’d recurred in the past — Taylor Wily, Dennis Chun, and Kimee Balmilero — followed by Chi McBride. WTF?! Wily usually appeared in the final 40 seconds of episodes if he appeared at all. Chun usually told McGarrett, upon his arrival at a crime scene, the situation, then disappeared. Balmilero took over Masi Oka’s place as head medical examiner, but wasn’t seen in most episodes. “Hawaii Five-0” cast members Ian Anthony Dale, Meagan Rath, Beulah Koale. I highly doubted they would suddenly all have increased screen time now. I was more than right. In the first episode, Chun was seen for 2 seconds, Balmilero for 14, Wily for 34! In the second episode, wow, they actually had video of the three in the opening credits. What an upgrade! And their screen presence? Chun for a whopping one minute and 54 seconds! Balmilero was on for 48 seconds. And Wily was nowhere to be seen. “Hawaii Five-O” airs Friday nights at 9 p.m./8 Central on CBS. “Hawaii Five-0” cast members Kimee Balmilero, Taylor Wily, Dennis Chun. Et Tu, DDK? Department: Despite Daniel Dae Kim coming off somewhat heroic for not settling for a salary that he felt undermined his true value, he’s committing common mistakes as co-executive producer of ABC’s “The Good Doctor.” 1. It takes place in San Jose, where the API population is 32% and the black population a mere 3%. 2. One out of every six doctors in this country are API, so you’d expect to see even a higher percentage in a city like San Jose. 3. His cast includes three black doctors and no Asian ones. Tamlyn Tomita, upped from recurring to “regular” cast member at the last moment, plays someone who runs the hospital’s foundation. This is “Grey’s Anatomy” all over again: The medical show takes place in Seattle (14% API, 8% black) but it looks like it’s based in South Central Los Angeles. There was only one Asian regular in Sandra Oh, but she left years ago, and there hasn’t been an API presence ever since. Kim initially developed “Doctor” through his production deal with CBS, who passed on it. I have no idea what changes he had to make in order to get a series deal at ABC, but I doubt it even got to the casting stage (there must’ve been a script or concept issue). I’m flabbergasted that he didn’t hire more Asian Americans for his cast. Lord knows he had the above reasons to insist upon it. What’s more, even though the critics were cool to it (you can only see an autistic doctor have all the answers and everyone around him doubt him for so long before it gets old and predictable), it’s ABC’s first hit in years. Is There No Justice? Part II Department: Peter Lenkov, who’s done such a horrible job of reflecting the dominance of the Asian Pacific Islanders in “Five-O” (white and black people are always more important), has now been given the go-ahead to reboot yet another CBS property (as if “MacGyver” wasn’t enough): “Magnum P.I.” That’s right, the ’80s show starring Tom Selleck. 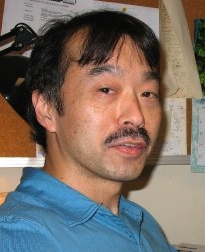 While attending college in Honolulu, I recall both the local press and locals cracking that the series apparently took place on an unknown ninth Hawaiian island where there were no APIs! Great, Lenkov has so resisted giving APIs regular roles more than he had to and not allowed API guests to do anything substantial that I’m sure he’ll feel even less obligation to include us in his reboot. Really Living Up to Its Title Now Department: The third season of my favorite current TV show, “Crazy Ex-Girlfriend,” marks another change in direction. In the first season, Rebecca Bunch (Rachel Bloom) left her high-paying legal job in New York to follow her high school crush Josh Chan (Vincent Rodriguez III) to slyly win him over. In the last episode, she did just that. So for the second season, it was “how can they stay together despite many issues?” It ended with Josh leaving Rebecca at the altar to become a priest and her vowing that she would destroy him. So far this season, Rebecca’s tried to mail her ex her own poop in the shape of cupcakes (it came back unopened) and prepared to sue him. But at the end of the second episode, she confronted him in church wearing her wedding dress and angrily told him a list of all the scary, stalker-ish things she’d done to him in the past. Though feeling liberated, she quickly realized she’d just ruined her reputation and feared Josh would tell all of her friends. So, in order to head him off at the pass, she gave an interview to a clueless blogger and made up lies about him being insincere, racist, and hypocritical. It worked, as his friends wanted nothing to do with him. So in order to ruin her credibility, Josh finally opened the file one of her jilted lovers had compiled, which showed she’d tried to burn down the house of a college professor with whom she’d had an affair. She was sent to a mental institution. Now, it’s her friends who’re on to her. Where does this go next? That’s part of the thrill ride of this innovative, unpredictable series. “Crazy Ex” airs Friday nights on the CW at 8 p.m./7 Central. 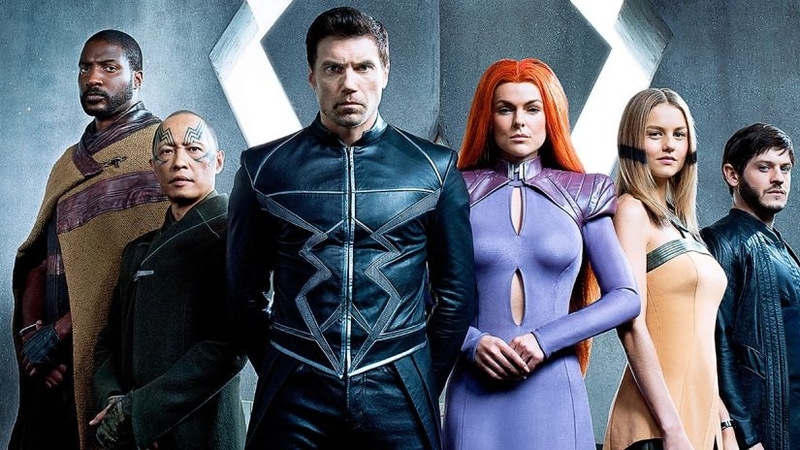 Tough Luck Department: “Marvel’s Inhumans,” the latest superhero property to land on television, has been called by many critics the worst of all of the company’s offerings, even over Netflix’s “Iron Fist.” Guess what both have in common? Creator Scott Buck. Several problems here: Not much happened in the two-hour premiere. The royal family is overthrown by the jealous brother of king Black Bolt, and they escape to Hawaii, but take episodes to reunite with each other. There aren’t any real costumes for long (which is what I hated about the X-Men movies; they’re superheroes! Put them in recognizable tights, not raincoats!). Karnak, played by Ken Leung, wore a white, green and black costume in the comic books. The closest we got to that last week was a green hoodie. Black Bolt’s power is that if he makes any noises from his mouth, he can demolish mountains, so he says nothing. His queen, Medusa, can control things through her long locks, but her evil brother-in-law Maximus (a charisma-less Iwan Rheon from “Game of Thrones”) cut them off. Gorgon’s got horse hoofs and can send shock waves with a big stomp. But Karnak hit his head and is no longer the strategist he used to be. So people with boring powers not using them all that much. The cast was supposed to include Mike Moh as the amphibious Triton, but he appeared for only a few minutes in the opener and was supposedly killed. Sonya Balmores, how’s half Filipino and from Hawaii, plays a scary assassin. The series, which is only scheduled for eight episodes, airs on ABC on Fridays at 9 p.m./8 Central.